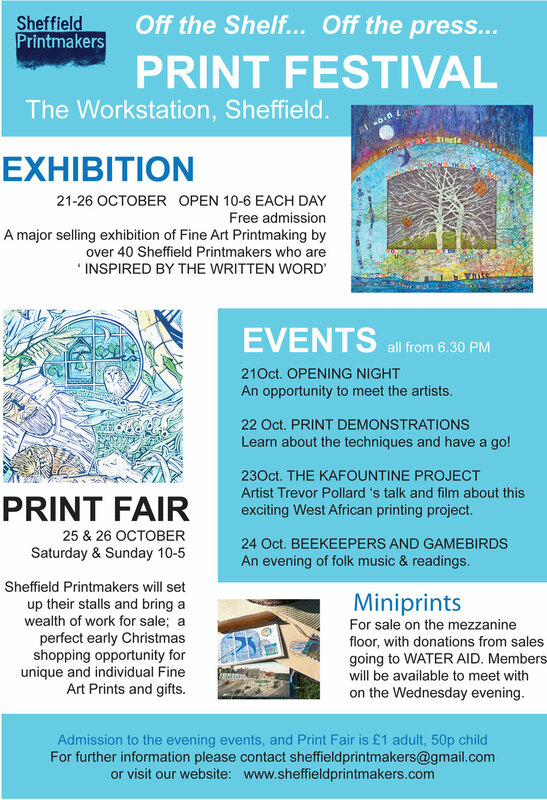 Sheffield Printmakers came together following a successful selling exhibition in aid of Wateraid held at the Workstation, Sheffield in November 2012, the first event of its kind in the area. It saw over 40 professional and amateur print artists come together in order to offer their support for the charity and exhibit their art work. Our group aims to promote and encourage the many diverse elements found today in printmaking through a programme of exhibitions, print fairs and outreach workshops with the ultimate aim of raising the profile of print and printmakers both regionally and nationally.